nice watercolor and I like your shadow on the snow very much ! I am so waiting for the yellow forsythia bloom - your haiku gets me toa state of dreaming of spring...snow is a great canvas - your shadow fills it up nicely on a sunny day! Nice post - I like the quote. 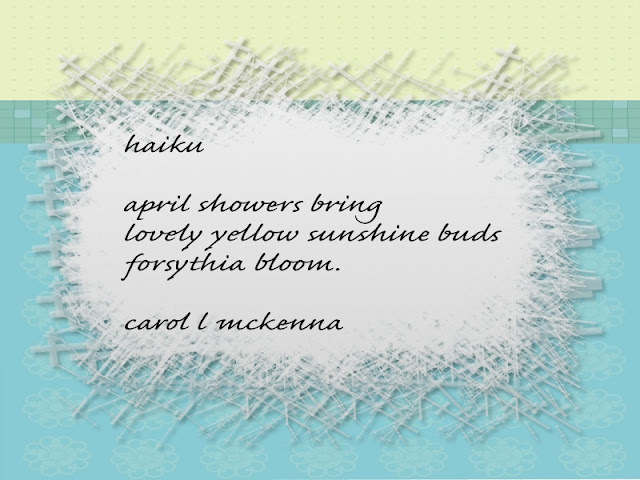 the sketch is lovely and the haiku made me smile....yay spring! We have more snow on the way here. What a snowy winter - spring can't be too far away?! Love the shadow of yourself - in the pursuit of shdows. Your other photos and your art are lovely. I like your shadow shot - it really shows the season well. 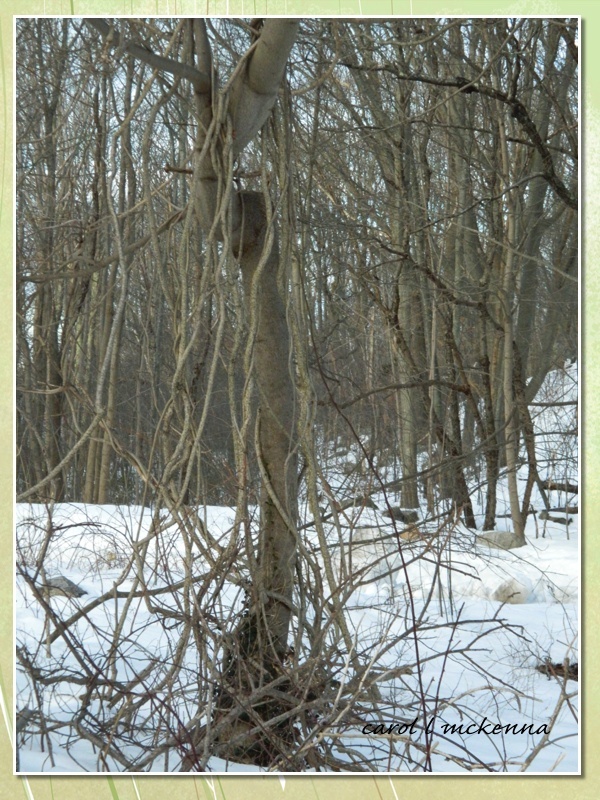 The one of you in the snow has a charm and looks like an old yellow postcard. I love the colors you used in the watercolor. No signs here of anything even thinking about blooming. Lots of birds at the feeder though, and lots of snow. I like your shadow shot - snow does make a nice canvas for them, doesn't it. I'll bet you are pretty tired of the snow and the cold! Love the watercolor. Stay warm and hope the next storm is uneventful! "sunshine buds" I love it. The water color turned out exceptional. Great work! Hi! Beautiful photos! I like your Haiku very much. Very nice shots and lovely watercolour! Thank you for your nice comment on my blog. Love your sweet armuse dog. May many showers bring many golden blooms! 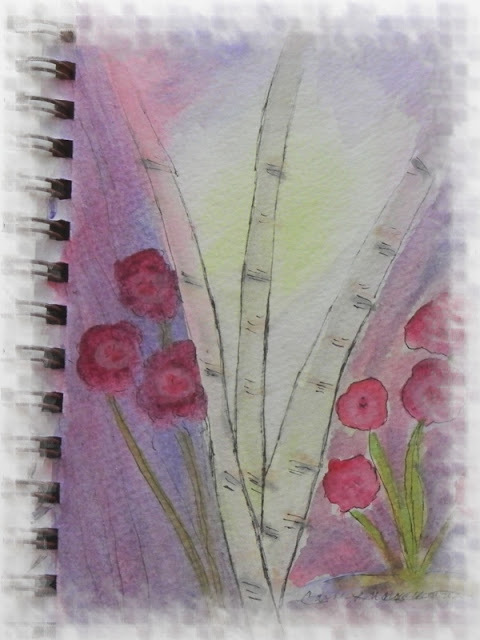 Wow Carol..totally love your pen, ink and watercolor piece..beautiful..stunning..i love the three tree trunks and how they sway upward..embracing the world above..it makes me think of the Goddess energy and the connection to Birch Tree.and then you have three of them..so "triple goddess" symbolism shines out to me! Gorgeous!I also love the wonderful soft vibrancy of the flowers adorning the trees..magical! It's always a pleasure to read your comment. wonderful Sunday Sketch, and I love your pretty shadow! Such a sweet painting, love it. love the quote you shared at the end! thank you for that. Awesome post! Lovely photos and that water ink ... wow. Nice haiku on Forsythia ... Spring is closing on here. O contorno de pessoas rendem sombras interessantes...lindos esboços em aquarela. Um abraço! 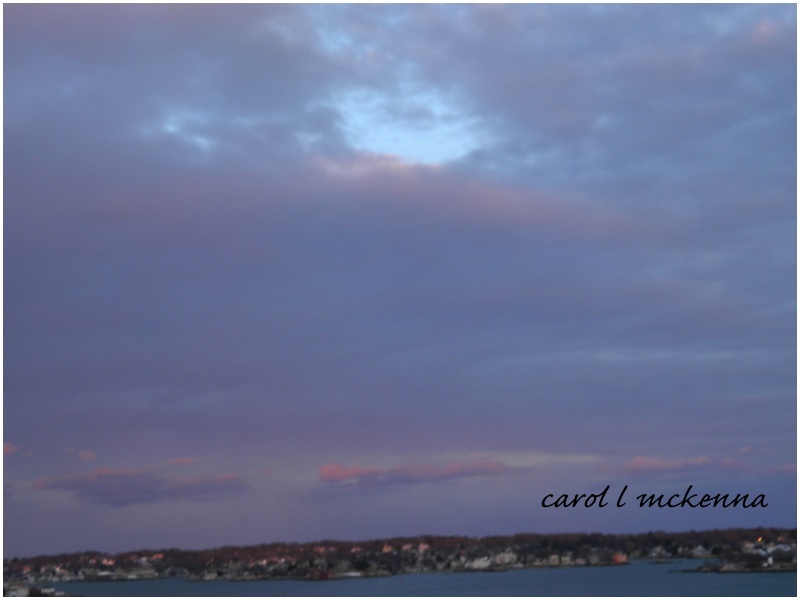 pretty watercolor painting this week Carol! 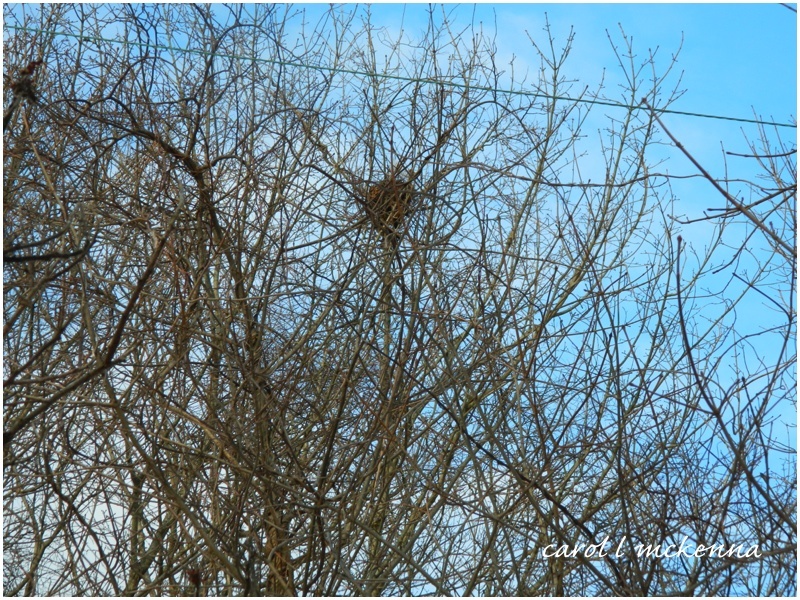 Your photos are always so interesting and the haiku reminds me spring is coming! and brrr it looks cold where you are. beauty filled offering, almost a spring bouquet, well....for those of us who dream! thank you for being here warming my heart. 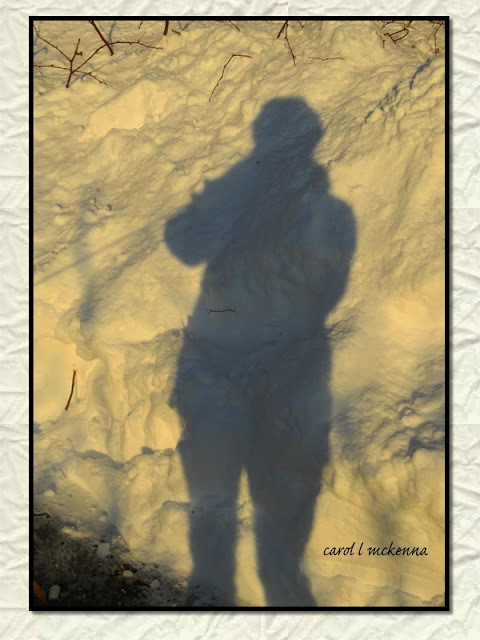 Love the hues in your Snow shadow. Pink sunsets you can't have too many of them, especially by the ocean! I am looking forward to Spring and warmer days. I hope you are staying warm there with all the snow and more coming? I love your watercolor, it is so pretty. Lovely post and haiku! Wishing you a happy week ahead! ...nope...we are in for the same as you...no spring here either. great shots!!! love the simple. The watercolor is gorgeous. You are way more talented with paints than I am! Mine always look like puddles. Beautiful photos this week too. Pink sunsets sing paradise to me! Great shots for all of your memes girl !